March 2 is Read Across America Day, planned by the National Educator's Association in honor of Dr. Seuss' birthday. 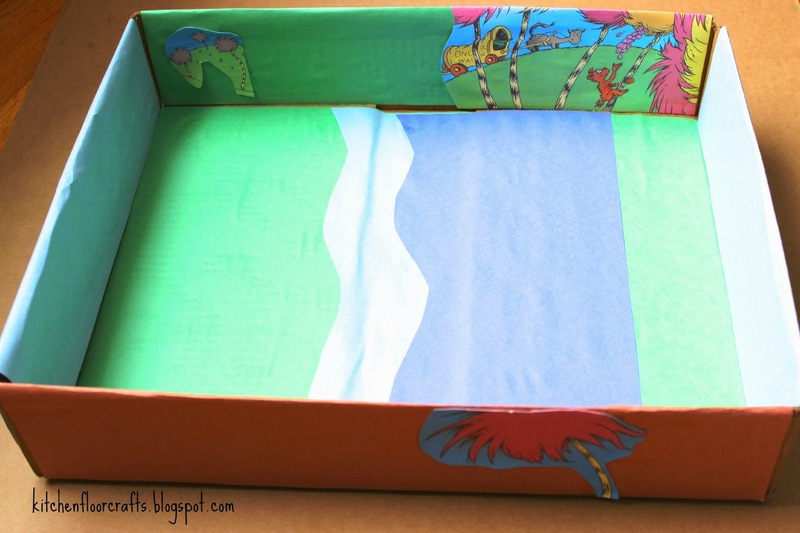 Today, to celebrate both occasions a group of bloggers has joined together to come up with Read + Play ideas with favorite Dr. Seuss books. We decided to celebrate with the Lorax, which we've read several times lately. We've read it enough we decided to try creating our own small world play. Small world play is something we don't explore often but something we're interested in creating more often. 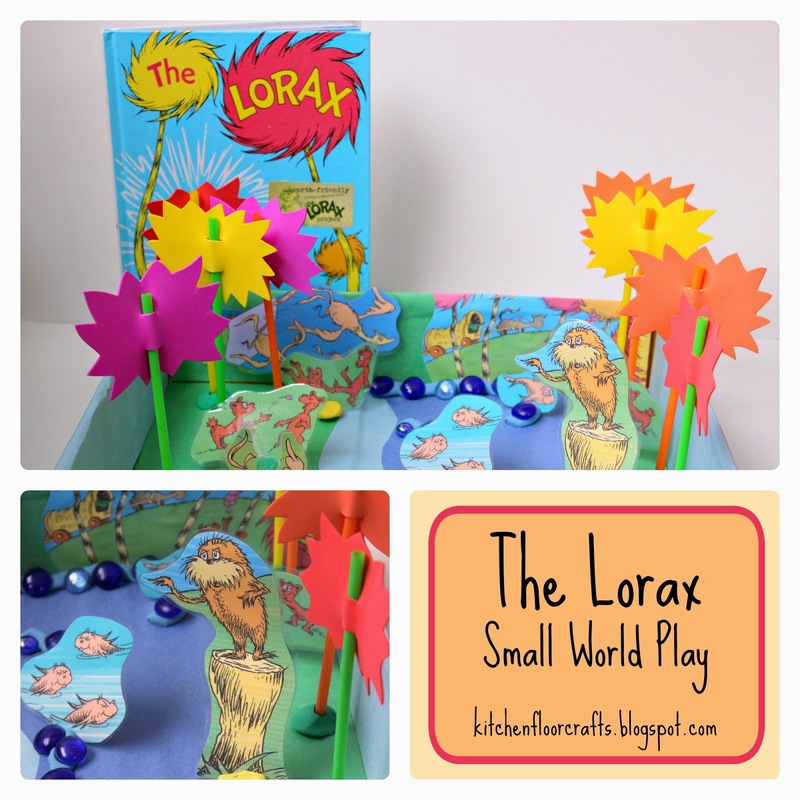 Originally I had planned to have the boys help me create the small world, but the timing worked better for me to create it first and for the boys to explore it afterwards. 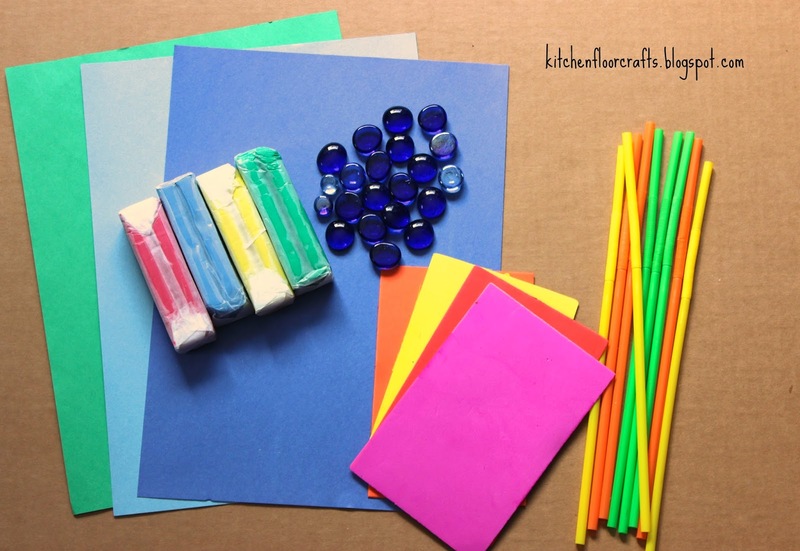 To begin with I collected some materials for our world: colored construction paper, modeling clay, craft foam, and straws. 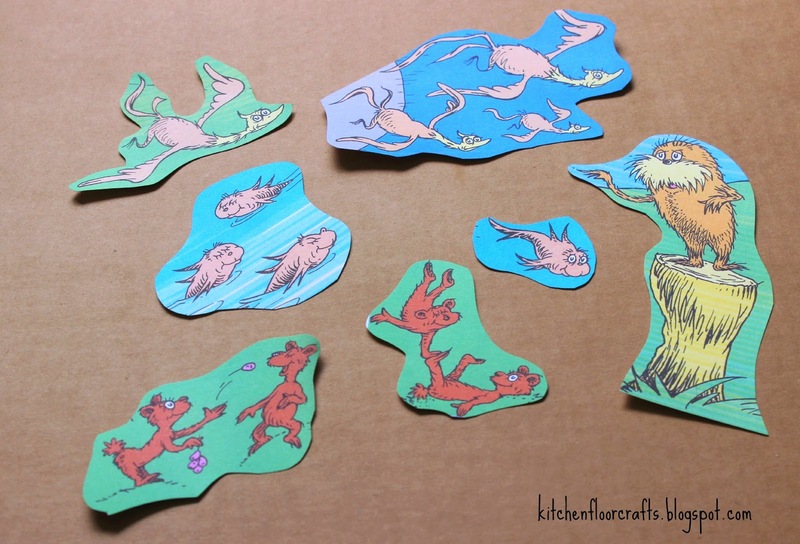 I also used our printer to color copy specific pages from the book onto card stock (which I later laminated) and then I cut out certain characters. 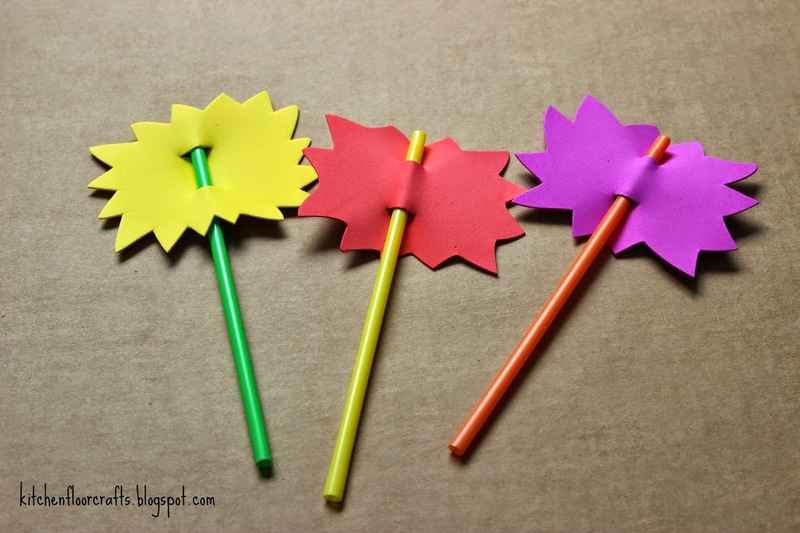 I cut the foam into "truffula tree" tops and threaded them onto straws. 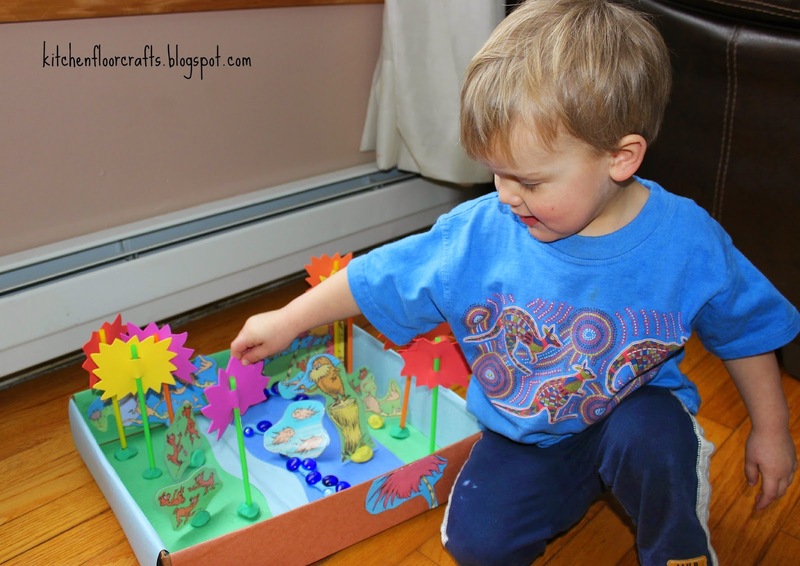 To create the small world space I used a medium sized box and glued construction paper to the bottom and sides. I also used a few scraps from the photocopied pages to decorate the edges. 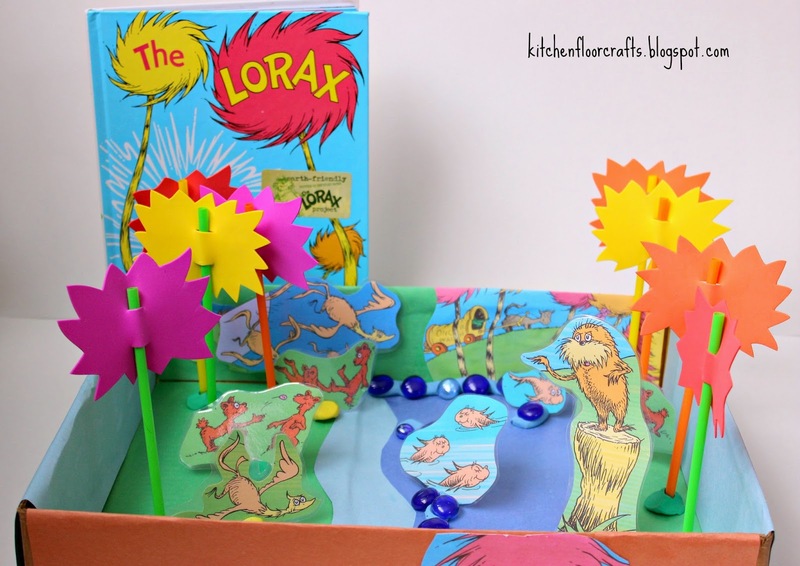 Afterwards I used modeling clay to set up the trees, animals, Lorax, and river. Each piece was ready to play and move. Little Brother was the first to come play, he started exploring all the pieces right away. He especially enjoyed moving the animals around. When Big Brother took his turn, he wanted to know where the "Onceler" was with all his machines. 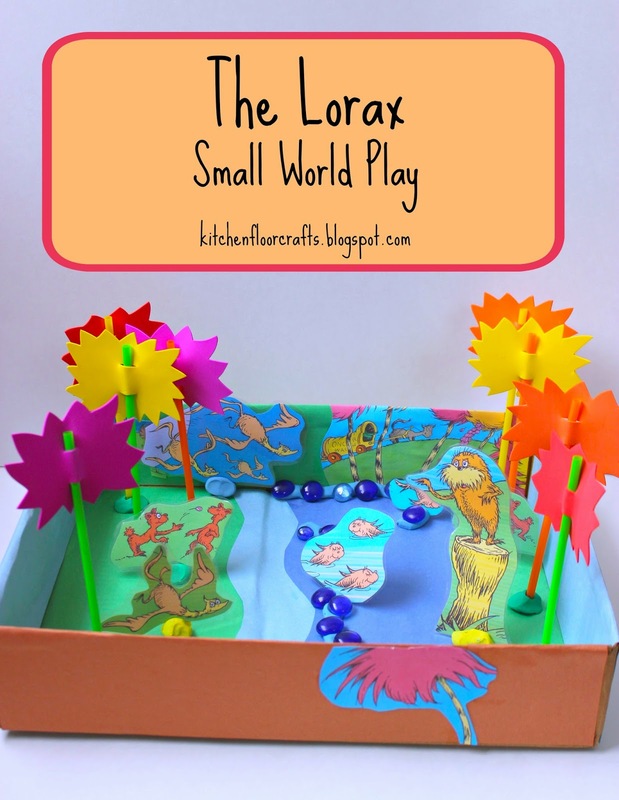 For the time being we decided to leave our small world play set up as when things were still good for the Lorax, the trees, and the animals. It gives us a way to continue the play another day. 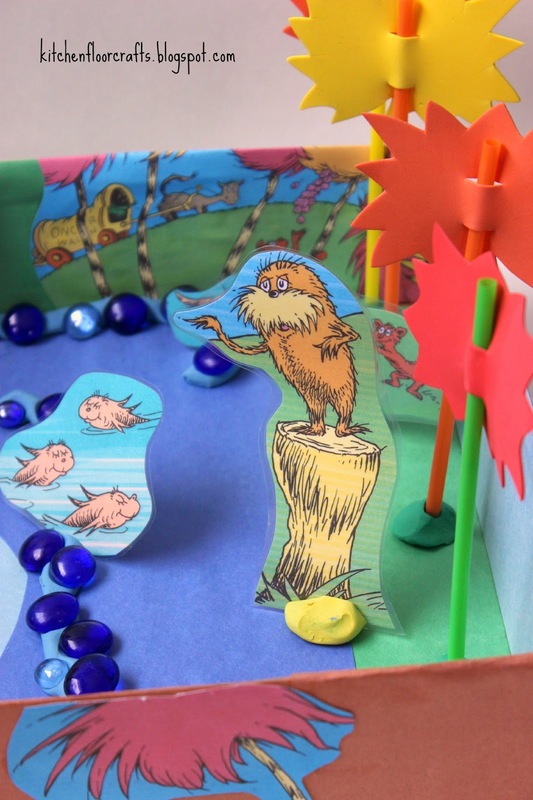 What's your favorite Dr. Seuss book? 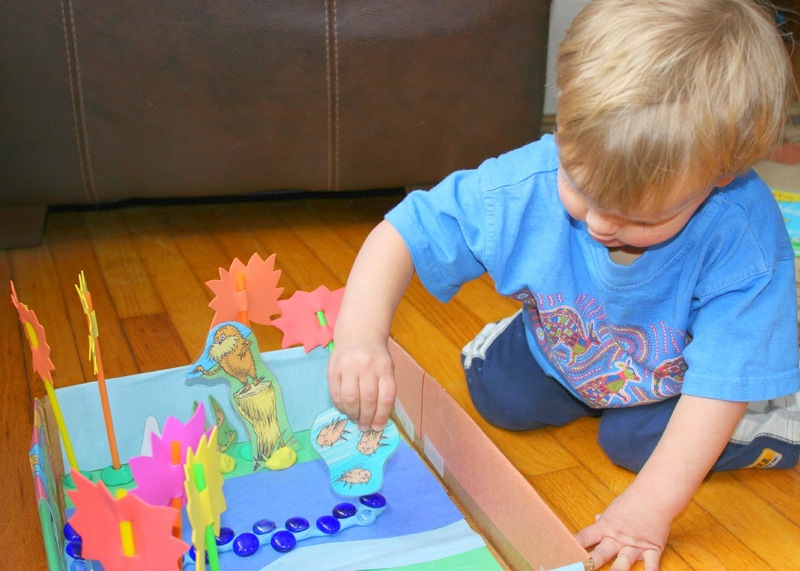 Check out this list of other great books and play activities from these other Read + Play Bloggers!